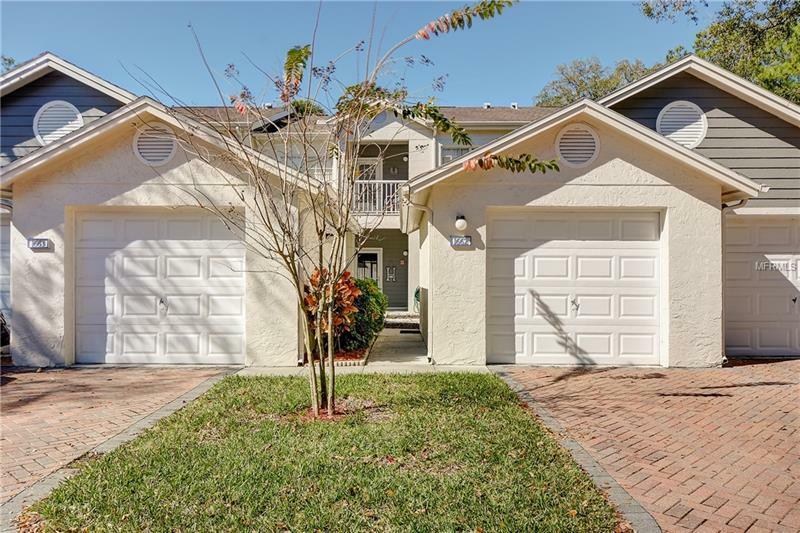 BEAUTIFULLY REMODELED ground floor condo in desirable Shipwatch! Step inside this 2 bedroom, 2 full bathroom unit to see new wood-grain tile floors throughout - no carpet! The kitchen has been opened up to include NEW 42" cabinets with crown molding, NEW STAINLESS STEEL APPLIANCES, GRANITE COUNTER TOPS, and closet pantry. NEW LIGHT FIXTURES in the kitchen and dining room adorn the dining experience. A split bedroom plan offers privacy. The master bedroom includes a walk-in closet and completely updated en-suite master bathroom with CUSTOM SHOWER GLASS and TRAVERTINE TILE IN THE SHOWER. NEW HURRICANE IMPACT SLIDING GLASS DOORS lead to the private deck area in the back yard. This unit has a one car garage with plenty of storage space. Other great features include Aquios whole house filtration/softener system (salt free) and Reverse Osmosis in the kitchen with FRESH PAINT throughout. Shipwatch is a waterfront community that offers many amenities including a marina, community pool, clubhouse, tennis courts, restaurant, and guard house at the entrance all located within a 10 minute walk to Indian Rocks Beach, and a short drive to the many other beautiful Pinellas County beaches.